NORTH CONWAY — Celebrating their 36th year of presenting live concerts in the Mt. 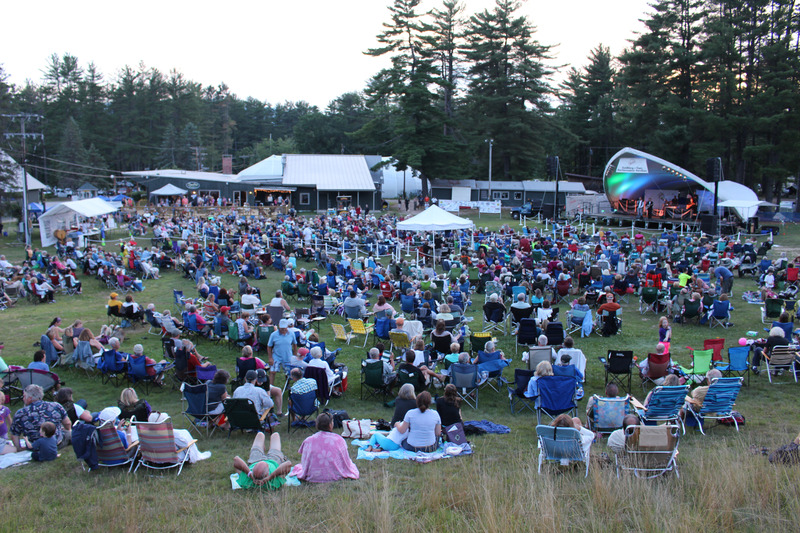 Washington Valley, Arts Jubilee’s 5-week summer concert series is returning to Cranmore Mountain! The outdoor concerts will run weekly on Thursday nights at 7:00 from July 19th through August 16th at the North Slope Base of Cranmore Mountain Resort. The first concert on July 19th will feature the return of five-time Grammy-nominated American blues and swing revival big band, ROOMFUL OF BLUES. Independent bluegrass, Celtic, and folk-infused rock band CARBON LEAF is celebrating their 25th Anniversary Tour, and they’re including Arts Jubilee in their summer tour on July 26th. The Carbon Leaf concert is co-presented with 93.5 WMWV. THE SEACOAST WIND ENSEMBLE will perform the annual Pops Concert—a long-time Arts Jubilee tradition—on August 2nd, followed by a spectacular fireworks display presented by Atlas PyroVision. On August 9th, LIVE AT THE FILLMORE will perform the definitive tribute to the original Allman Brothers Band. The final concert on August 16th will feature STEVE KELLY & THE CHERRY CHERRY BAND, who will perform the music of the great Neil Diamond. Each concert will also feature a local opening act at 6:00 pm. This season’s openers include the Kelly Karuzis Band (July 19th), Junco (July 26th), The Mount Washington Valley Band (August 2nd), Dennis & Davey (August 9th), and Bennett & Perkins (August 16th). Concert admission is $12 for adults, $10 for seniors (65+), $5 for students, and free for kids 12 and under. All ticket sales are at the gate (cash or credit). There’s plenty of free parking on site, food and beverages will be available on the Zips Pub deck, and there will be a raffle for a variety of great prizes at each concert. Seating is not provided at the venue, so concertgoers are encouraged to bring a lawn chair or blanket. Animals are not allowed on the property except for leashed service dogs. All concerts are rain or shine. For more information visit www.artsjubilee.org.